Africa, known for safaris, wild animals, and the extreme poverty, is the second largest continent of the 7 continents in the world. It is rich in history, language, culture, and geographic diversity. Africa plays host to some of the most incredible deserts, mountains, animals, reptiles, birds, insects on planet earth. Africa is comprised of 55 separate countries and nine territories, and two de facto states that are basically their own entities with no special rights or recognition. 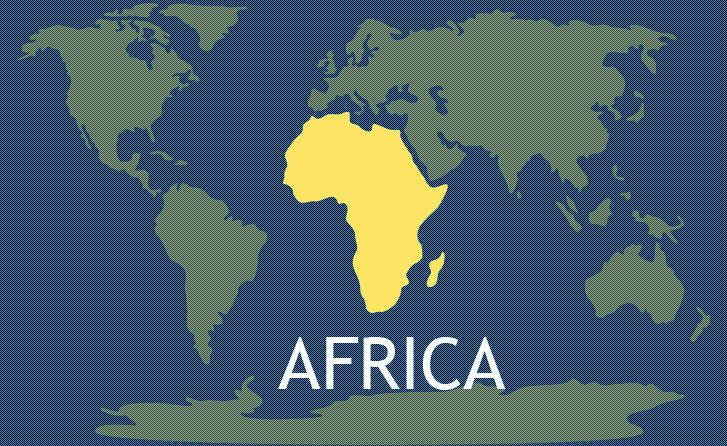 Africa is made up of approximately 11.7 square miles and has about 22% of the world’s land mass. Africa has the world’s youngest population, with half of their over billion people being under 19 years of age. Learn more about the countries of Africa. Africa is comprised of desert, tropical, savanna grasslands, jungle and even subarctic climates. 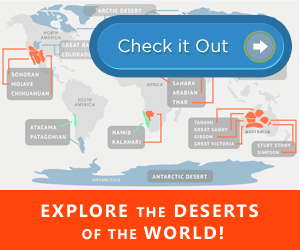 The top half of the continent is comprised of desert, and the Sahara Desert, the world’s hottest desert, is located in Northern Africa, and at 3.5 million square miles is approximately the size of the United States or China. The Nile River, which runs through 11 different countries in Africa, is the longest in the world, over 4,000 miles long. The world’s second largest lake and largest tropical lake is Lake Victoria, located in Uganda, Tanzania and Kenya. Africa is located in between the Atlantic Ocean and Indian Ocean, and to the north is the Mediterranean Sea. Africa is the only continent large enough to be in both the northern temperate and southern temperate zones. The equator also runs through several countries in Africa. At 19,340 feet, the highest point in Africa is Mt. Kilimanjaro, located in Tanzania and is a popular mountain climbing destination. The lowest point on the African continent is Lake ‘Asal, located in Djibouti, at 502 feet below sea level. Africa is known for its many magnificent animal species, and many people come to Africa for the very purpose of catching a glimpse of these amazing animals in their native habitat. Among the most popular animals native to Africa are the African Elephant, Giraffe, Zebra, Vervet Monkey, Hippopotamus, Cheetah, Hyena, Lion, Gazelle, and Rhinoceros. Many African animals have earned distinctions, among these, the African Elephant is the world’s largest land animal, the cheetah is the world’s fastest land animal and the giraffe is the tallest animal on land. There are several species of fish native to Africa, and Lake Malawi has more species of fish recorded than any other lake in the world. Each country in Africa is independent and may not fall into the African economical stereotype, but as a whole Africa is a very poor continent. HIV/AIDS and malaria are two of the most deadly diseases, and they have ravaged many African countries, leaving orphans and extreme poverty in their wake. In addition, many governments are corrupt, and foreign aid money sent to various projects may not end up where it was designated. A recent United Nations report that identifies the poorest countries worldwide has stated that the poorest 25 nations in the world are all in Africa. In addition to the diseases above, the poverty can be due to lack of clean water sources, the political instability and wars that are common on the continent, and the difficulty of traveling to the nation’s capitols where most jobs are available. There is great diversity in Africa, and there are many different native people groups. Many of these people groups have their own languages, and there are well over a thousand languages recognized on the African continent. Because of this, the African continent has the highest level of multilingualism in the world. The people of Africa tend to be religious. Africa is a continent rich in diversity when it comes to religious beliefs. A majority of the inhabitants of Africa follow Christianity, Islam, Hinduism, Judaism or other more traditional African religions. Only a small number of Africans do not consider themselves to be religious. Want to know more? See our 49 Amazing Facts about Africa! This is a great resource, especially for students. this is an awesome way to get the wierdest facts! I believe that Christianity is the most popular in Africa, with Islam being the second most popular. AS I OBSERVER THE PROBLEM OF AFRICA IS SYSTEM ! HOW TO LEAD AFRICA WITH OUT SYSTEM ? POVERTY & DISEASE IN AFRICA LACK OF A GOOD GOVERNANCE !! PLEASE MAKE SYSTEM TO SOLVE THE MATTER AT ALL FROM THE FACE OF AFRICA !! rich as it is but badly robbed of its wealth. I strongly n personal believe that poverty & diseases in Africa are part of a system designed to make Africa poor/dependent so that it will be forever robbed of its resources; e.g. mines n animals poaching. Freedom is NOT free hence Africa is still colonized as long as its own wealth/resources is not fruitful to Africans. Worse crisis is the wickedness and corruption by most governments that sink Africans to the deep mud of poverty/wars/sicknesses. oh what a continent #2 in the world is great I watch the animals all the time i would love to visit.